Where do the homeless turn to for comprehensive medical health care access? This has been a very difficult problem to overcome in the past for millions of individuals. Medicare health insurance is available to all individuals who reach the age of sixty-five. Medicaid health insurance is available to all low-income individuals who have a dependent or dependents under their care. 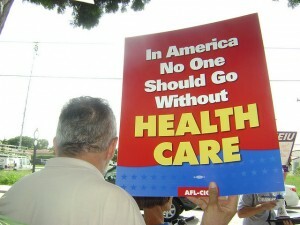 This leave a large portion of the population without any access to comprehensive health insurance coverage. Where do individuals who are uninsured turn to when they become ill or are in need of surgery because of a major set back in their lives? Many years have passed and these individuals must do their best to take care of him or her self. They rely on the over the counter medications to see them through illnesses because they are unable to visit with a medical health care physician. At different points during their life, they will wait their turn in the local community hospital emergency room and pray they will receive the necessary health care that they require. Many will turn to their place of worship for health care assistance and solace to see them through the ordeal. However, according the health care reform bill, there are federal changes coming in the future that will offer medical health care to the millions of homeless individuals. Written into The Patient Protection and Affordable Care Act is a section devoted to the changes that will involve Medicaid health insurance. This program is going to be expanded to include all low wage individuals, including the homeless population by January 2014. The need for waiting and trusting the local drug store for needed over the counter medication will soon come to an end. Those individuals who fall below the current poverty line and do not have dependants will be included in the Medicaid health insurance program to receive needed medical health care when they become ill. The current rules, laws, and regulations will be eliminated to include the broader spectrum of individuals who have been left behind in the past. Many individuals living in the homeless population also suffer from chronic illnesses, complex medical conditions, mental illness, and drug addictions. The attempt to enroll all of these individuals into the Medicaid health insurance will be difficult because many are not living in government housing. Many of the homeless are sadly residing in the streets, behind buildings, in railroad stations and the like. How to reach these individuals and lift them out of the homeless stream of poverty to add them to the Medicaid health insurance rolls will be a difficult task, but it can be accomplished with time and patience.